Pervious pavers allow rainwater to infiltrate through the pavers into the ground below where it recharges our increasingly depleted aquifers. 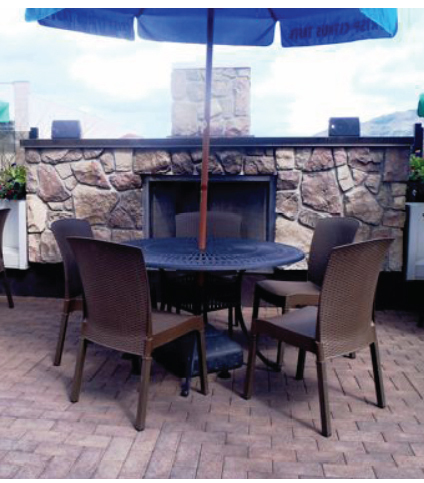 A great example of pervious pavers is VAST™ composite pavers (pictured above), which have an added eco-friendly benefit … they’re also made with 95% recycled materials (scrap tires and plastic bottles), yet have the strength and durability of concrete! Pavers set in sand or an aggregate base, not mortar, also allow rainwater to infiltrate into the ground. Why is important to reduce stormwater runoff? See my earlier post for the answer, along with easy tips.